Culture Secretary John Whittingdale has said he is "not persuaded" by a law forcing publishers pay both sides' legal costs in libel and privacy cases. 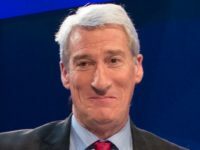 But he said he has not yet made his mind up and hinted that the final decision may depend on the Independent Press Standards Organisation making changes to its structure. Under the Crime and Courts Act, publishers who are not signed up to an officially-recognised press regulator will face the threat of exemplary damages in libel and privacy cases from 3 November. Once a press regulator has official recognition from the Royal Charter-backed Press Recognition Panel, the Government can enforce a second part of the Crime and Courts Act forcing publishers which aren't part of that regulator to pay both sides' costs even if they win libel and privacy cases. This cost-shifting measure was described last week by Telegraph editorial director Lord Black as creating "probably the harshest press regime anywhere in the free world, and much of the developing world". Whittingdale said this morning at the Society of Editors conference: "There is no doubt that the threat of exemplary damages is a serious sanction. It is a real incentive to encourage publishers to sign up to a recognised self-regulator." While backing the Royal Charter press regulation regime set up by Parliament, Whittingdale also welcomed the establishment of IPSO – which most newspaper and magazine publishers have signed up to, and which rejects the Royal Charter regime. Although Whittingdale backed using the threat of exemplary damages to persuade publishers to join an officially-recognised regulator, he suggested his department may not enact the cost-shifting measure. He said: "At the moment I am not persuaded that the time is right for the introduction of these costs provisions given the changes underway in the industry, the introduction of the exemplary damages provisions and the pressures on the industry." He said there was "a question over whether this additional step will be positive and lead to the changes we want to see". "My mind is not made up, we will need to examine matter further. 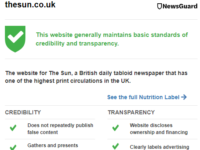 We would like to see the press bring themselves into the Royal Charter scheme of recognition." Campaign group Hacked Off said it would be "an insult to the victims of press abuse" if the Government did not enforce the plan. Shadow culture secretary Michael Dugher said: "It seems the Culture Secretary is paving the way for the Government to renege on the implementation of a key recommendation from the Leveson Inquiry to make it easier for people to bring libel and privacy cases against newspapers. "Labour is clear that this recommendation should be implemented. The Government made a promise to Parliament, the public and most importantly to the victims of phone-hacking in a cross-party agreement back in 2013. "There must be no backtracking, no watering down and no broken promises from ministers. And there can be no going back to the bad old days for newspapers." Dr Evan Harris, joint director of Hacked Off, said: "Victims will be distressed and the public alarmed to hear that the Government is considering not keeping the promises it made to those innocent people whose lives have been destroyed by press misconduct, and reneging on the post-Leveson cross-party agreement signed by all the party leaders 30 months ago and passed overwhelmingly by Parliament. “We hope that on reflection the Prime Minister will remember what he pledged on oath at the Leveson Inquiry, and what he personally promised victims of the press. The public will never be convinced that our political leaders have ended their servile relationship to powerful press interests like Rupert Murdoch and the returning Rebekah Brooks, until the Leveson reforms are properly implemented”. Whittindale also said he welcomed IPSO's steps to set up a libel and privacy disputes arbitration scheme and noted the ongoing negotiations between chairman Sir Alan Moses and publishers to strengthen its regulations. In questions, media lawyer Tony Jaffa said: "The greatest threat to freedom of expression in this country, particularly for the regional press, is the provision relating to costs." He said the threat was particularly severe in view of the £500-an-hour fees, plus 100 per cent success-fee uplift, charged by claimant lawyers which publishers would have to pay. Whittingdale said "the jury is out" on whether IPSO is the independent and effective self regulator of the press that the Government wants to see. "Is IPSO tougher and more effective than its predecessor? This is a matter we will continue to monitor in the coming months." On the Royal Charter press regulation system, which has been rejected by the majority of newspaper and magazine publishers, he said: "We would like to implement the system that parliament intended. IPSO is not a million miles from being in a compliant state." He said that the creation of an arbitration scheme by IPSO, to provide low-cost settlement of a libel and privacy claims, would take it a "considerable step closer" to being in line with the Royal Charter. Read Whittingdale's full speech here.